A fascinating display of militarization and tactical capacity by a suburban Canadian police force in response to teenagers pointing a laser at a police helicopter. They wouldn't have expected this to happen! 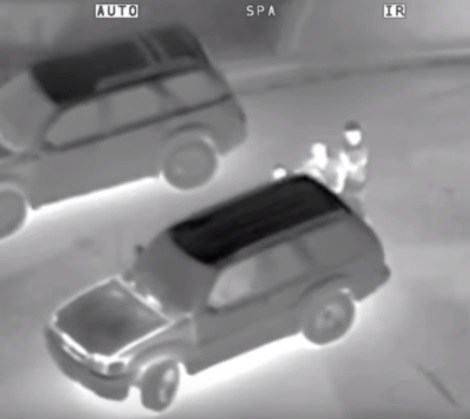 The night-vision footage was shot on Aug. 16, 2015, by York Regional Police’s Air Support helicopter Air2 in Vaughan, Ontario, just north of Toronto. What to do when the bride is late? 14 Year old with a better voice than you! The perfect thing for a hangover!